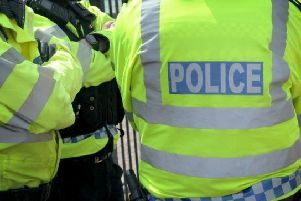 Kenilworth residents have been asked to vote on what police in the town should be focusing on ahead of the Community Forum next week. Residents have been asked to vote on five policies before the forum at the Senior Citizens Club in Abbey End on Tuesday October 2. Inconsiderate parking in Burton Green to prevent/deal with vehicles causing obstructions on the highway, educate motorists and provide reassurance to the local community. Anti-social behaviour patrols at parks, recreational areas and open spaces in Kenilworth to prevent and deal with anti-social behaviour and to provide reassurance to members of the community. School safety patrols at Thorns Infant School, Blackthorn Road, Kenilworth to promote pupil safety when going to and from school; including the prevention and detection of road related issues during school drop-off and collection times. School safety patrols at Kenilworth School, Leyes Lane, Kenilworth to promote student safety when going to and from school; including the prevention/detection of road related issues during school drop-off and collection times. Crime reduction patrols in Kenilworth town centre to prevent/deal with incidents of theft and anti-social behaviour, and to provide reassurance to businesses/members of the public. The priorities and other issues will be discussed further at the forum.